The synergism of structural techniques in live sciences plays an increasingly important role these days. 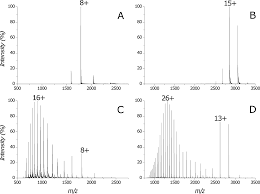 in x-ray absorption spectroscopy mainly collaborations with NMR or protein crystallography have let to a better understanding of the systems under study. Based on a series of projects the synergism of these methods will be highlighted and the future options discussed. One example is FurB from /Mycobacterium tuberculosis/. Iron, zinc and other transition metals are essential elements for almost all living organisms as they play important roles in a wide range of cellular processes. They act either as structural components or as obligate co-factors in various functions ranging from respiration to DNA replication. A balanced efflux/influx of these metal ions has to be achieved in order to satisfy the requirements of the cell and to avoid toxicity. Organisms have therefore developed highly sophisticated systems to reach homeostasis based on storage, export, and uptake of metals. Members of the ferric/zinc uptake regulator (Fur/Zur) family are the central metal-dependent regulator proteins in many gram-negative and positive bacteria. They are responsible for the control of a wide variety of basic physiological processes and the expression of important virulence factors in human pathogens. Therefore Fur has gathered significant interest as a potential target for novel antibiotics. The initial EXAFS experiments in which the protein sample was first dialyzed against an Fe(II) containing solution and afterwards dialyzed against metal-free buffer did not show any significant Fe-fluorescence.These results further supported the microPIXE and gel shift experiments which both indicated no iron binding. 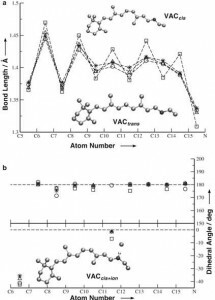 The EDTA treated sample was used to record the Zn-EXAFS to determine the chemical environment of the strongly bound Zinc cation. In order to investigate the nature of the exchangeable metal site(s) a protein sample was incubated with Co^2+ . The divalent cobalt ion can occupy the site(s) normally reserved for the Zn^2+ ion.By projecting the local environments for the strongly bound Zn-ion and the exchangeable metal on the crystal structure of FurB, which was determined by multiwavelength anomalous diffraction (MAD) at the Zn-edge, the different role of the metal binding sites were determined. My research group develops polymeric “intelligent surfaces” proven useful and published for applications in medicine [1-4] and biotechnology [5-8]. We have synthesized several temperature-responsive polymers of N-(isopropylacrylamide), and have attached these polymers to various surfaces. This new surface modification technology demonstrates several intelligent functions, including dramatic, reversible surface property alterations with slight temperature changes, useful for new applications. We use temperature-responsive cell culture to prepare novel living cell sheets [9, 10] that represent attractive, interesting new alternatives to tissue as scientific models and as living clinical tissue replacements. Ocular trauma commonly causes corneal opacification and visual loss because of limbal stem cell deficiency and inability to regenerate the ocular surface. Although corneal transplantation is required in these cases, numbers of donor corneas are very limited. We have initiated clinical treatment to transplant our engineered ocular epithelial cell sheet cultured either from a patient’s biopsied limbal stem cells or oral mucosal cells. With intact native adhesive matrix, cell sheets bind structurally and functionally to eye stroma [11, 12] without sutures. In more than 30 human patients, significant improvement of visual acuity is observed beyond 36months to date. Using cardiomyocyte heart muscle cells, we have demonstrated a novel tissue engineering methodology layering harvested cell sheets to construct 3-D functional cardiac tissues. When two pulsing cell sheets are layered,, the two sheets synchronize their pulsations through gap junctions between the sheets. We have succeeded in demonstrating long-term survival in vivo for these engineered pulsatile cardiac grafts [13-15]. Analogous cell sheet patches fabricated from autologous skeletal myoblasts are now on-going in large animal models. Cardiac tissue engineering based on our “Cell Sheet Engineering” [16-19] should prove useful for heart model fabrication and clinical cardiovascular tissue repair. These new cell sheet manipulation techniques are promising for many cell types and tissue structures, and device shapes. We believe that two- and three-dimensional cell sheet manipulation – Cell Sheet Engineering – represents a useful, fundamental, generalized technique for next-generation tissue engineering and regenerative medicine. 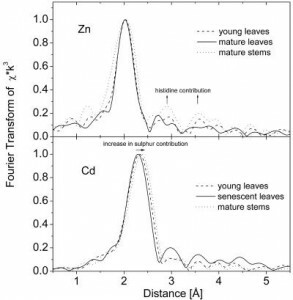 M. Yamato and T. Okano, “Cell Sheet Engineering”, Materials Today, 7 (5), 42-47(2004). J. Yang, M. Yamato and T. Okano, “Cell-sheet engineering using intelligent surfaces”, MRS Bulletin, 30(3), 189-193 (2005). J. Yang, M. Yamato, C. Kohno, A. Nishimoto, H. Sekine, F. Fukai, T. Okano, “Cell sheet engineering: recreating tissues without biodegradable scaffolds”, Biomaterials, 26 (33), 6415-6422 (2005). J. Yang, M. Yamato, K. Nishida, Y. Hayashida, T Shimizu, A. Kikuchi, Y. Tano and T. Okano, “Corneal epithelial stem cell delivery using cell sheet engineering: Notlost in transplantation”, Journal of Drug Targeting, 14 (7) 471-482 (2006). H. Kanazawa, Y. Matsushima and T. Okano, “Temperature-responsive chromatography”, Advances in Chromatography, Edited by P. R. Brown, E. Grushka, Marcel Dekker, Inc., 41, 311-336 (2001). N. Idoda, A. Kikuchi, J. Kobayashi, Y. Akiyama, K. Sakai and T. Okano, “Thermal modulated interaction of aqueous steroids using polymer-grafted capillaries”, Langmuir, 22 (1), 425-430 (2006). K. Itoga, J. Kobayashi, M. Yamato, A. Kikuchi and T.Okano, “Maskless liquid-crystal-display projection photolithography for improved design flexidility of cellular micropatterns”, Biomaterials, 27 (15), 3005-3009 (2006). N. Yamada, T. Okano, H. Sakai, F. Karikusa, Y. Sawasaki and Y. Sakurai, “Thermo-Responsive Polymeric Surfaces; Control of Attachment and Detachment of Cultured Cells”, Macromol. Chem. Rapid Commun., 11(11), 571-576 (1990). K. Nishida, M. Yamato, Y. Hayashida, K. Watanabe, N. Maeda, H. Watanabe, S. Nagai, A. Kikuchi, Y. Tano and T. Okano, “Functional bioengineered corneal epithelial sheet grafts from corneal stem cells expanded ex vivo on a temperature-responsive cell culture surface”, Transplantation, 77(3), 379-385 (2004). K. Nishida, M. Yamato, Y. Hayashida, K. Watanabe, K. Yamamoto, E. Adachi, S. Nagai, A. Kikuchi, N. Maeda, H. Watanabe, T. Okano and Y. Tano, “Corneal reconstruction with tissue-engineered cell sheets composed of autologous oral mucosal epithelium”, N. Engl. J. Med., 351 (12), 1187-1196 (2004). T. Shimizu, M. Yamato, A. Kikuchi and T. Okano, “Two-dimensional manipulation of cardiac myocyte sheets utilizing temperature-responsive culture dishes augments the pulsatile amplitude”, Tissue Engineering, 7(2), 141-151 (2001). T. Shimizu, M. Yamato, Y. Isoi, T. Akutsu, T. Setomaru, K. Abe, A. Kikuchi, M. Umezu and T. Okano, “Fabrication of pulsatile cardiac tissue grafts using a novel 3-dimensional cell sheet manipulation technique and temperature-responsive cell culture surfaces”, Circ Res. 90:e40-e48 (2002). Y. Haraguchi, T. Shimizu, M. Yamato, A Kikuchi and, T. Okano, “Electrical coupling of cardiomyocyte sheets occurs rapidly via functional gap junction formation”, Biomaterials, 27 (27), 4765-4774 (2006). H. Sekine, T. Shimizu, S. Kosaka, E. Kobayashi and T. Okano, “Cardiomyocyte bridging between hearts and bio-engineered myocardial tissues with mesenchymal transition of mesothelial cells”, J. Heart Lung Transplant., 25 (3), 324-332 (2006). T. Shimizu, H. Sekine, J. Yang, Y. Isoi, M. Yamato, A. Kikuchi, E. Kobayashi and T. Okano, “Polysurgery of cell sheet grafts overcomes diffusion limits to produce thick, vascularized myocardial tissues”, FASEB J., 20 (6), 708-710 (2006). H. Hata, G. Matsumiya, S. Miyagawa, H. Kondo, N. Kawaguchi, N. Matsuura, T. Shimizu, T. Okano, H. Matsuda Hikaru and Y. Sawa, “Grafted skeletal myoblast sheets attenuate myocardial remodeling in pacing-induced canine heart failure model”, J. Thorac. Cardiovasc. Surg., 132 (4) 918-924 (2006). Y. Miyahara, N. Nagaya, M. Kataoka, B. Yanagawa, K. Tanaka, H. Hao, K. Ishino, H. Ishida, T. Shimizu, K. Kangawa, S. Sano, T. Okano, S. Kitamura and H. Mori, “Monolayered mesenchymal stem cells repair scarred myocardium after myocardial infarction”, Nature Med., 12 (4), 459-465 (2006). 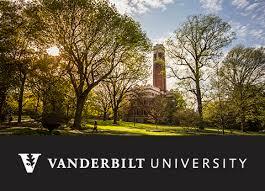 An overview of research activity in the field of Scanning Probe Microscopy taking place in Rome, Lausanne and at Vanderbilt is presented. Several applications in Material Science and Biology will be presented as well some recent developments in instrumentation. Molecular biology is nowadays strongly overlapped with supramolecular chemistry. An important aspect of supramolecular chemistry, which has recently come to the attention of the scientific community, is the structural role played by metals in intra-molecular and inter-molecular interactions. Metals are essential elements for many of the fundamental activities of cells and their storing, metabolism and trafficking is mediated by many proteins via well tuned mechanisms because of the toxicity of free ions. Recently the high sociological impact of neuro-degenerative diseases (like Alzheimer disease, BSE, Parkinson disease, etc.) has pushed the attention of researchers, both from the Biophysical and Biomedical point of view, towards the problem of mis-folding that is a common phenomenon in all amyloidosis pathologies and is regarded as a possible cause of aggregation of protein and plaque formation. 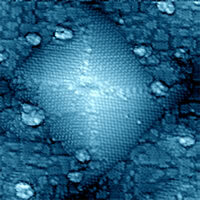 It has been observed that very often plaques contain large amounts of transition metal ions (like Cu+2, Fe+3 and Zn+2). None of the experimental techniques used so far, has been able, however, to unambiguously reconstruct the local structure around the metal ions and elucidate the role they possibly play in the mis-folding process. I will show the contributions we have given in this direction by using both X-ray Absorption Spectroscopy and ab initio Car-Parrinello Molecular Dynamics in two very much studied systems: Prion Protein and Aβ-amyloids. Water plays an important role in many natural processes where it is confined or at contact with substrates. Examples can be found in different fields of geology, biology, chemical engineering. Changes in the static and dynamical properties of water are expected to take place for the geometrical constraints and the interaction with the different substrates. In particular it has been shown that confined water can be more easily supercooled in experiments. 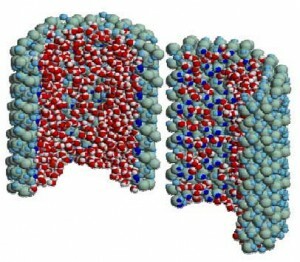 The presentation summarizes Molecular Dynamics results obtained for water confined in a silica pore and presents recent results on water embedded in a hydrophobic matrix. For water confined in a silica pore it is found that the interaction with the hydrophilic surface and the geometrical constraints give rise to layering effects of great relevance in modifying static and dynamical properties with respect to the bulk phase. For water at contact with an hydrophobic matrix a study of the thermodynamical behaviour upon supercooling shows modifications in the limit of stability of water. The hydrophobic effect however does not change the general trends of the liquid spinodal. 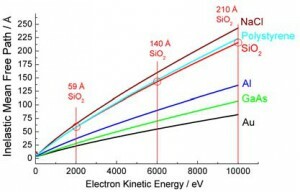 Photovoltaic effect has always relied on semiconductors p-n junctions based on doped silicon or III-V-semiconductors. Recently, however, the use of carbon nanotubes has evoked large promises to increase the potential of light conversion and current generation (1). Carbon nanotubes in fact possess extended π-electron systems and characteristic van Hove singularities, which in combination with photoexcitable electron donors can provide the basic structural element for efficient photovoltaic conversion devices as demonstrated by Lee et al. (2) and by Guldi et al. (3). However single wall carbon nanotubes (SWCNTs) have shown a low efficiency (0.2%). Relative to SWCNTs, multi wall carbon nanotubes (MWCNTs) present a number of important applicative advantages. In particular, they are slightly easier to process than SWCNTs, because they generally do not form bundles and are found to be straight. Moreover, due the large number of concentric graphitic inner shells, they appear more suitable for achieving charge transfer and charge transport. Remarkably, also MWCNTs can be good light converters as shown by our own recent measurements reported in Ref. (4). We have demonstrated in fact the ability of multi wall carbon nanotubes to generate photocurrent upon the whole visible and ultraviolet spectral range. Photocurrent measurement of MWNTs/SiO2 electrode, put in an electrochemical cell, was excited with visible light and a solution of 0.5 M NaI and 0.01M I2 in acetonitrile has been used as electrolite. The maximum photon-to-current conversion efficiency is approximately 7%, about 50 times higher than that reported for single wall carbon nanotubes. Our experience shows that the lifetimes of the charge separated species are enough long to consider nanotubes excellent candidates for the fabrication of photovoltaic nanodevices and solar energy conversion applications. Photocurrent generation of nanometric Ge droplets has been also investigated by using the same electrochemical photocurrent apparatus. Ge dots have been grown depositing by MBE several nominal thicknesses of Ge (ranging from 0.5 to 15 nm) on clean SiO2 surface at room temperature and then annealed to reach full crystallization. The photocurrent signals always show a feature located at about 280 nm. This peak can be ascribed to the bulk direct electronic transitions located at X point of the Brillouin zone. Only in the case of 0.5 nm Ge film a broad and intense feature at 550 nm has been observed while the peak due to the bulk direct electronic transitions results to be dramatically reduced. Since this last sample is characterized by 5 nm nanodots medium size (the smallest among the measured samples) this broad band in the photocurrent can be due to quantum confinement effect. On the other hand we have already reported for this sample a significant increase of the energy band gap to approximately to 1.8 eV from STM I-V measurements (5). This means that only for very small quantum dots an efficient electron-hole separation occurs thus generating a significant photocurrent in the visible range. This result is of particular relevance for photovoltaic nanodevices and quantum dot based lasers. (1) S.Barazzouk, S. Hotchandani, K. Vinodgopal, P. V. Kamat, J. Phys. Chem. B 108, 17015 (2004). (2) J.U. Lee, Appl. Phys. Lett. 87, 073101 (2005). 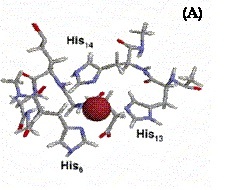 (3) D.M.Guldi, G.M.A.Rahman, M.Prato, N.J.Jux, S.Qin, W.Ford, Angew.Chem.Int.Ed.44, 2015 (2005). M. De Crescenzi, Appl. Phys. Lett. 89, 253107 (2006). M. De Crescenzi, Appl.Phys.Lett.89, 063122 (2006).